Clever marketing and glowing reviews aside, the truth is Nokia’s still struggling to capture a chunk of the US mobile market with its latest set of Windows Phone 8 devices. While phones like the Lumia 920 offer amazing specs and sport one of the top cameras out, it’s still haven’t been enough to make the WP8 platform a serious threat. And when it comes to Verizon, the manufacturer has practically become a ghost, as its mediocre mid-level phone, the Lumia 822, never matched the appeal or performance of its competitors. The company looks to give Big Red a boost heading into the summer with the introduction of its new flagship product: the Lumia 928. 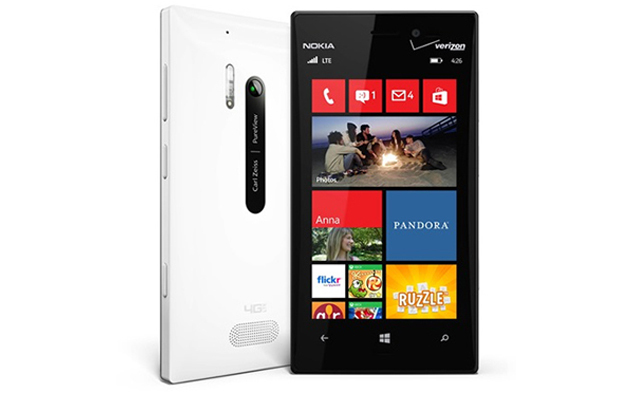 An amended design, enchanting display, and Nokia’s signature PureView camera solidify the Lumia 928 as a standout. But is that enough to match up against some of the other heavy hitters on the scene? Here’s what we say. 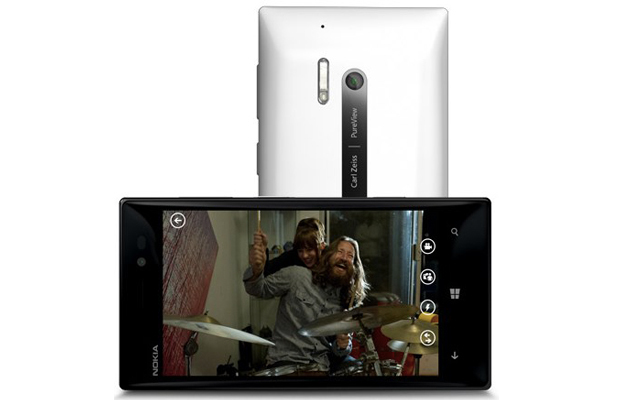 The biggest selling point on the Lumia 928 is by far its 8.7-megapixel PureView camera with f/2.0 Carl Zeiss optics. How awesome is it? For one, it definitely outperforms the HTC One’s “UltraPixel” camera in terms of detailing and exposure. The shooter excels most when snapping photos in low-light environments, as the Xenon flash assists with image stabilization. The slower shutter speeds allow for brighter imagery and capture vivid images. Low-light shooting is just remarkable whether enabling or disabling the guiding focus light. A vibrant 4.5-inch AMOLED panel is plastered on the front of the device, producing sharp 1280 x 768 pixel resolution and bold coloring. Brightness levels are effective and make reading articles and surfing the web a pleasure. Netflix videos look great, while video games shine on the screen. Nokia squeezes a 2,000mAh battery in the phone that helps get you a solid 6 to 8 hours of vitality on moderate to heavy use. It’s not the 3,000mAh cell found in the RAZR Maxx or the Galaxy Note 2, but it puts in enough work to get you through the day. Be sure to keep the battery saving mode on at all times. The price tag is also worth noting here. 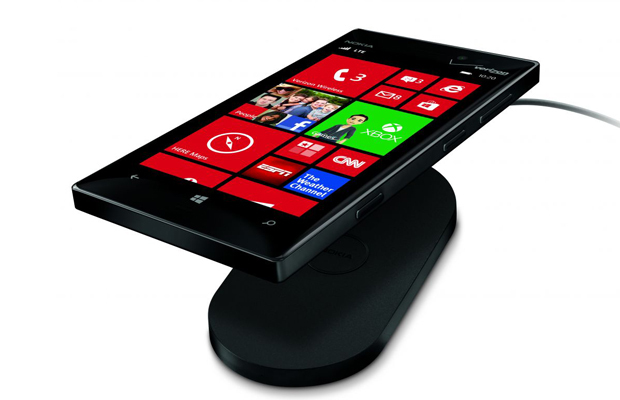 For anyone looking to test the mobile waters and take a chance on the WP8 platform, $100 is a steal for the phone. The one luxury of being on Verizon is having its blazing LTE network at your disposal. Well, unlike some of other premium mobiles we’ve tested on the carrier, the Lumia 928 fails to deliver the incredibly fast speeds we’re accustomed to experiencing. Maybe it was the towers in Los Angeles, but we were pulling download speeds of about 3.2Mpbs and upload speeds that clocked in at less than 1Mbps. Not good at all. We plan on taking it for another test drive when flying back out to NYC. One of the phone’s other flaws is its design. The Lumia 928 promotes a thinner, yet boxy shape with sharper edges that can easily tear through jeans within a matter of time. Not to mention the high-glossy finish attracts smudges like crazy. We weren’t fond of the heavy-duty stylings of the Lumia 920 either, but still, Nokia could have demonstrated a little more imagination here. Not only is the Lumia 928 the best WP8 device on Verizon, it’s also one of top phones in its price class at the moment next to the HTC One. The phenomenal camera and display accommodate each other perfectly, plus Microsoft’s dynamic OS continues to excel in terms of performance. Nokia’s exclusive apps add to its $100 value. As we mentioned before, if you’re all about trying new experiences and tired of the Android/iOS scene, Nokia’s offering makes for the great alternative.